A long time ago, Te Fiti, the Mother Island, rose from the ocean. Her heart could create life, and she blessed the world with beautiful islands. Legend says that some creatures wanted to steal the heart of Te Fiti in order to have the power to create life, but the demigod Maui managed to steal it, and he intended to use it to create good things for humans. However, Te Ka, a monster of earth and fire struck down Maui. The Heart of Te Fiti was lost to the sea, and Maui has been stranded for a thousand years on a small island. A thousand years have passed, and young Moana lives on the island of Motunui where her grandmother Gramma Tala keeps the island’s lore and her father, Chief Tui maintains safety for his people. Moana will be chief one day; she longs to go to the sea, but her father forbids her – or any islanders – to sail past the reef. Beyond the reef, the seas are unsafe. No one has left the island for generations. However, the island’s vitality is draining away. 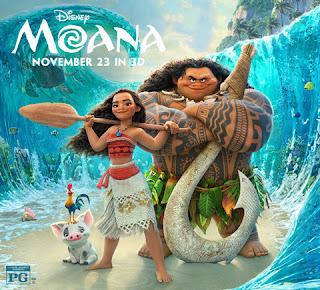 Gramma Tala tells Moana that the ocean has chosen Moana to travel far, to find the demigod Maui, and with him, to find and return the lost Heart of Te Fiti. In doing this, Moana would bring back vitality to her island, and to all islands. Moana’s grandmother falls ill. On her deathbed, she tells Moana to leave the island and carry out the task for which the Ocean has chosen her. Moana does so against the will of her father, but with the knowledge of her mother. Moana finds Maui, stranded on an island. 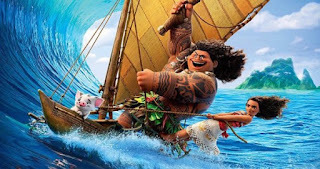 He initially intends to trap Moana in a cave and use her boat to reclaim his glory. Moana catches up with him, and he is compelled to work with her to reclaim his own greatness and to strive to return the Heart of Te Fiti. To do so, he and Moana must reclaim Maui’s magical fishhook, and find a way past Te Ka, who still guards the way to the place where Moana must go to return the Heart of Te Fiti. 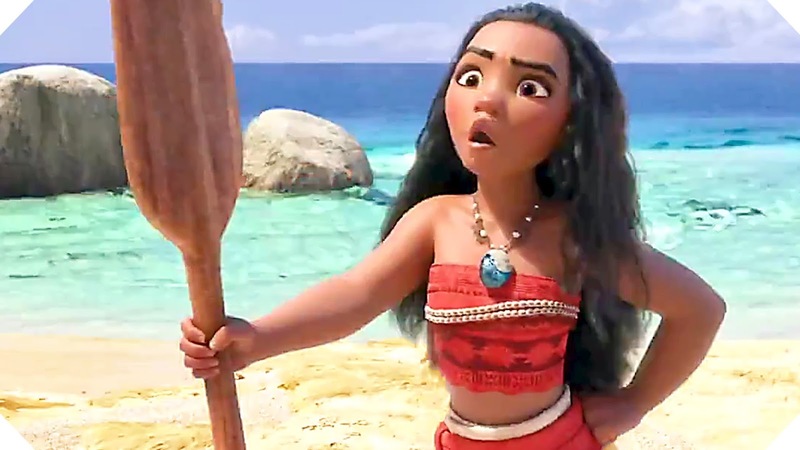 Moana learns from her grandmother that her ancestors were voyagers. Fear has kept them trapped on their island, and ignorant of their history and heritage. As part of her journey to return the Heart of Te Fiti, Moana also helps reinstitute the heritage of her people as voyagers, constantly in search of gloriously beautiful new islands. This is a huge adoption connection, and a major spoiler: the demigod Maui was born to human parents. Maui says that his parents treated him “like I was nothing.” They took one look at him and threw him away into the sea, believing that they wanted nothing to do with him and leaving him for dead. The gods rescued Maui. They made him into a demigod and gave him the ability to shapeshift. Maui stole the heart of Te Fiti because he wanted to give it to humans; he wanted to do this, however, because he wanted the love of humans that had been denied him by his parents. Although he devoted his life to making humans love him, he explains, “it was never enough.” A thousand years later, Maui doubts his worth; his parents disowned him, and his new identity was given to him by the gods, but he believes it is not his own. Maui’s understanding of his situation is not an uncommon telling of adoption. Abandoned by one set of parents, he was rescued by another and given a new identity, but questions his worth and questions the validity of his identity. Moana offers him a wonderfully helpful answer. He himself has created his identity. It is true that the gods looked at him and saw someone worthy of rescue and help, but the person that Maui is – Maui himself has created. This appears to encourage Maui, and it represents a healthier understanding of adoption as well. You needed help and love, and you were worthy of help and love. You were given help and love – but you yourself create your own identity; that is something you develop, and it is truly yours. Understanding his own value allows Maui to return the Heart of Te Fiti; he does not need to win the love of humans; he knows his own value. Being sure of himself allows him to do the right thing, where needing to strive after the love he was denied led him down destructive paths. Referring to wayfinding, Maui tells Moana that you can know “where you’re going by knowing where you’ve been.” That statement proves to have deeper meaning to both Moana and Maui as the story progresses. 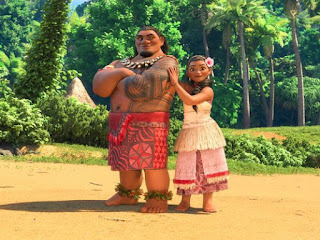 When he was able to find meaning within himself rather than seeking for it in the adulation of others, Maui was able to do wonderfully brave, meaningful, and right things. Moana is kind, brave, and persistent. She is dutiful, adventurous, and courageous and strives to find a way to be true to herself, to her culture, and to her responsibilities. She does not shirk one to follow the others, but finds a way to incorporate everything. As I reflect on the film, I think that’s a pretty remarkable accomplishment for any hero. Moana and Maui must each make individual decisions about their identities and their actions; both must decide individually who to be and how to live, but to accomplish great things, they do need each other. 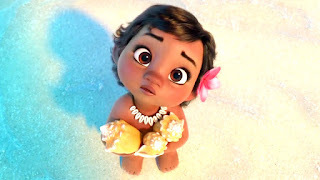 Much as Moana herself finds a balance between self-development and service to others, the film finds a balance between independence and interdependence. Maui wears tattoos that tell his life story. One of his tattoos serves as his conscience. Moana encourages Maui to share his story of abandonment. He does not want to tell her about it, telling her that it is none of her business. Instead of pressing, Moana honors his need for confidentiality, telling him “You don’t want to talk? Don’t talk…” and perhaps surprisingly, this makes Maui feel free to talk. 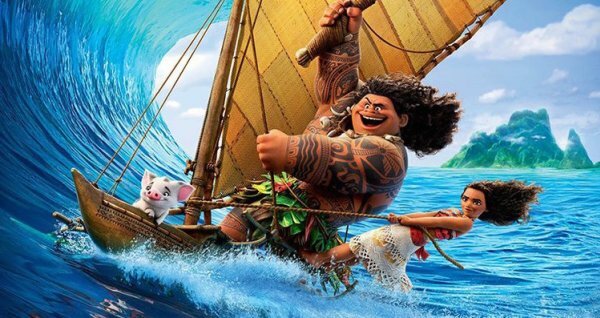 Even after times of great growth, Maui and Moana both turn away from the right path – but they both eventually come back. Moana’s grandmother apologizes for putting a great burden on Moana, and she assures Moana that regardless of the outcome of Moana’s quest, her family is proud of her. Maui takes responsibility for a past wrong, and his apology is straightforward, “What I did was wrong. I have no excuse. I’m sorry.” His apology is accepted. Moana’s father realizes the good that Moana has done, and gives her his approval. I love it when films show that villains are sometimes understood; this is one of those films, but I’ll leave that for you to figure out! Maui’s story of abandonment may be bracing – and terribly upsetting – for some young viewers and families touched by adoption. It could be hard for some viewers to see Moana’s grandmother near death. Moana is threatened by a huge storm; the darkness, lightning, and loud crashes of thunder could scare some young viewers. Although Maui grows in character, he initially comes across as arrogant and dishonest. Even after a heartfelt discussion with Moana, he abandons her for a time. Moana is almost eaten by a creature. A villain insensitively refers to Maui as “far from those who abandoned you, chasing love of humans.” The villain is quite precise with the line, but it’s cutting and it might be particularly hard for kids with abandonment issues. In a battle scene, Maui chops the arms off of a monster. There is so much good in Moana. There’s bravery, loyalty, duty, and a wonderful blend of discovering self and discovering heritage. The adoption connection is huge and perhaps as challenging to navigate as a major storm. Maui’s understanding of himself mirrors an unfortunately conventional, unhealthy understanding of adoption in which the adoptee was unwanted by one set of parents, and remains a helpless recipient of grace. 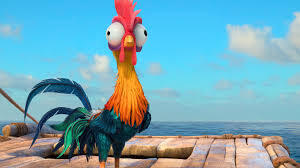 By the end of the film, Maui has been told that, yes of course he received the help of others, but that he has crafted his own identity; he is not helpless nor is he worthless. I do wish that the film addressed the abandonment he suffered; it isn’t really explained away – it happened, and it isn’t explored in detail, and that could it be hard for some viewers. Younger viewers might get capsized by the abandonment narrative and might not be able to right their boat in order to benefit from Maui’s later understanding of adoption – but older kids and teens could make much of it, with the help of their parents. For most audiences, Moana will appeal to kids of all ages. For adoption audiences, because there is a higher potential for abandonment to be a trigger, I’d recommend it for audiences starting at ages 10 and up, with parents along for a healthy discussion over pineapple sorbet afterwards. For kids younger than that in adoptive families, parents should watch it first to decide how it is likely to impact their kids. However – please do check it out, because there is so much to admire about this film. Stick around for a fun, short, post-credits scene that will remind you of a previous Disney film. Who are you? The voice inside you, your heritage, or something else? How did you feel about Maui’s story of himself as a baby? How can he have a happy life, even though that happened to him? What might help him when he is sad? What did Moana tell Maui that did help him? How do Moana and her dad get along? How does she get along with her grandmother? Why was it good that she had each of them in her life? Who guides you? Who influences you? What do you know about your heritage? What do you wish you knew? What do you imagine? What are some of the stories that Maui’s tattoos tell? Have you ever used art to tell your stories? What stories would be the most important for you to tell? Think about making a collage or a tower to represent each member of your family. As each new person comes into your family, allow them to add to the art. Bought 2 books for my grand-daughters. They love them. They now want to be just Moana and be a princess! We are going to watch the movie.